It is the first of its kind in Malaysia as it brings together an exclusive and diverse selection of home retailers, as well as, an abundant mix of F&B outlets, Fashion, and Entertainment. Viva Shopping Mall has evolved into a lifestyle centre for both the modern and traditional consumer. Whether decorating your home or browsing for the latest in fashion, Viva Shopping Mall offers an array of choices with a growing variety of f&b venues and entertainment. Located on the Cheras Highway, this prime location offers multiple access via a pedestrian bridge walkway to the Miharja LRT station and the major roads of Jalan Loke Yew and Jalan Cheras. 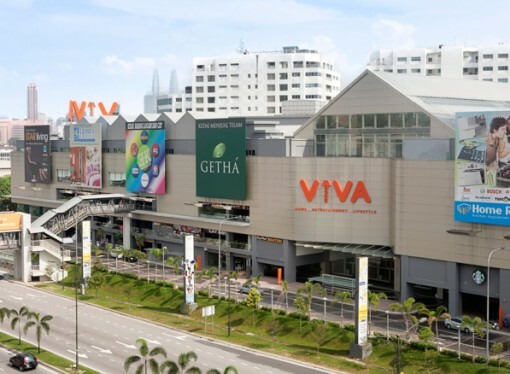 With over 220 established retail outlets, 2 Expo Halls featuring the latest events, and a large capacity parking lot for easier navigation; Viva Shopping Mall has undoubtedly become a go-to destination for the modern mall enthusiast looking for a convenient place to shop, dine, and enjoy!